That couldn’t resonate more with rural libraries today in Oregon. Many are seeking creative ways to serve communities that don’t want to pay for their services. Last year, when timber tax receipts dried up, Douglas County voters rejected a property tax increase that would have saved the public library system from extinction. All ten libraries closed. The same thing happened a decade before in timber-dependent Jackson County. In 2006 and 2007, voters turned down two levies that would have funded their 15 public libraries. “County commissioners, especially in rural conservative counties, believe libraries have overstayed their welcome, and should be defunded,” says Cathy Shaw, a Jackson County Library Board Member. Sue Ludington, a librarian who advocates for rural law libraries, says these critical, but oft-overlooked, reservoirs of public legal information suffer from declining appropriations from county judicial departments. Yet rather than throw up their hands, hardy library administrators have found ways to survive. In the process, they repainted the traditional picture of the public library. Jackson County took the unusual step of contracting its public library operations to a private corporation. With the libraries in free fall in 2007, Maryland-based Library Systems & Services extended a parachute. The company operates more than 80 public libraries in six states. Private management of public institutions is becoming the norm, rather than the exception. As rural counties hemorrhage public services, private management offers increased efficiency. Private contractors run public airports, state lotteries, child welfare programs and now, libraries. The publicly managed library district still owns and maintains the buildings, and funding still comes almost entirely from property taxes. The district can tax 52 cents per $1,000 of assessed property value. The new arrangement, however, is more opaque than a publicly managed system. The library budget does not reveal how exactly Library Systems & Services spends its $5.3 million fee. Until August, library board members did not know how much librarians were paid. Todd Frager, chief financial and operating officer for Library Systems & Services, says the company does not discuss its business relationships with local governments in the media. He declined to say how much of Jackson County taxpayers’ money goes to profit, or how much librarians are paid. Kiefer rests assured, however, that the problems with the company have been addressed. In 2015, a private equity firm, Argosy, took control of the business. Under new management, Library Systems & Services radically transformed its relationship with Jackson County Library administrators. The new executives, including Frager, immediately respond to concerns and information requests, says Kiefer. At an August board meeting, Library Systems & Services reported staff had received 3% raises each year since 2015, and an additional $1 an hour in January. The company also promised to allocate $200,000 for additional staff. Back in 2007, library board members faced a choice between a privately run library, or no library at all. A decade later, they feel they made the right call, though it wasn’t their first choice. They’re still discussing whether to renew the company’s contract when it expires in 2020. Douglas County residents opted for a more grassroots approach. Volunteers revived nine libraries through fundraisers and donations, the Oregonian reported in June. An army of volunteers staffed reference desks, built collections and ran summer programs. 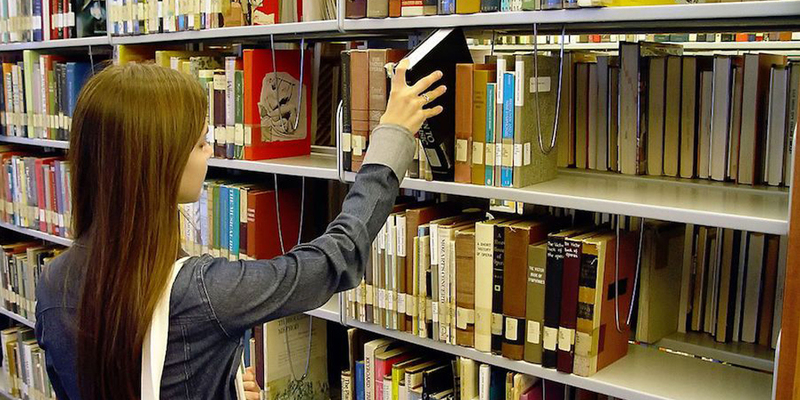 Elsewhere, librarians are trying to convince voters of their institutions’ value by changing the library’s traditional function of providing free books and Internet. In business terms, they’re shifting their value proposition. The Curry County library, Skinner says, broadened its focus from reading, to programs tied generally to education and civic engagement. In some ways, it took on a role closer to that of a school. The library partnered with the Southwestern Oregon Workforce Investment Board, for example, to offer a program that helps underserved young people earn GEDs. In the Washington and Lane County law library where Ludington works, more than half of the patrons are ordinary citizens seeking help for a personal legal problem. Often, the patrons lack the resources to hire a qualified attorney, so they hit the books on their own. As online resources and subscriptions have grown too expensive for the budgets of some rural law libraries, Ludington says, they’re looking for alternatives to fill the gap in legal knowledge. Some are expanding their focus on education, and considering additional steps like Skype consultations. The hope is that a transfiguration will make libraries more attractive to tax phobic voters. If free books no longer qualify as a public service on the order of roads and schools, then libraries must offer another product to their patrons. As Macleish might say, the most important feature of a library is its existence, whatever form that takes.